Hi! I’m Shannon and I am Seafoam Films! 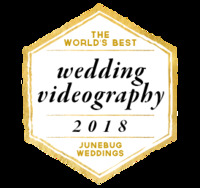 I create alternative wedding videos for artistic, modern, enthusiastically and eclectically in love couples. My style is inspired by a colorful taste in music, culture, and fashion, and a love of love! I LOVE non traditional and out of the ordinary and I have always been attracted to artistic, alternative lifestyles. My passion is creating emotion through video, and showing all the beautifully different ways to live and love. I look for candid moments, real emotions, and high energy, and when it comes to length, I believe that less is more. My videos are quick, fun, short, and sweet, and full of personality and character. I shoot with a laid back, informal style, and just want you to have fun in front of my camera. I will never turn down an out of the box idea, and I am always striving to bring the fun! Check out these couples bringing mad wedding inspo below!